Our Studio Is Best 3D Architectural Rendering Service Provider. We Have Been Creating 3D Walkthrough, 3D Exterior Rendering, 3D Interior Rendering, 3D Floor Plan Rendering Since 2009. 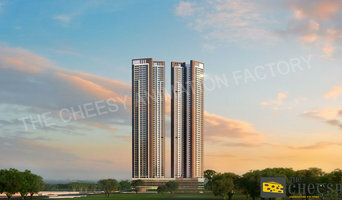 We Have Created Best 3D Architectural Project. We Have Best 3D Animation Team. We provide Architectural Design, Sustainable Architectural Design, Interior Design and Landscape Design solutions. Aakruti was established in 1980 by three young and passionate friends from School of Architecture, Ahmedabad – Dilip, Rajiv and Rajni, who shared vigour for design. Since 1998, Aakruti is headed by Dilip, who is now joined by his son, Toyam and daughter, Tulna, both interior designers. Over the years, their design approach has been that of providing simple, straightforward and responsive solutions to the programmatic challenges. The social, cultural, climatic, economic and functional parameters are the major guides that have shaped Aakruti’s aesthetic responses over the years. The visual vocabulary, thus arising, is a collaborative exploration of traditional and vernacular knowledge with contemporary design innovations. Their professional repertoire has diversified from architectural solutions to interior design, exhibition design, furniture design and institutional design management, to name a few, over a period of few years. Since 2009, Aakruti has also been involved in making of turn-key projects with an associate company, Saraa. Saraa has dealt with varied scales of ‘design and build’ or just ‘build’ challenges for corporate and individual clients across the country. An architectural initiative by designers of same school , working under the name of urban sense to combine and collaborate their principles to enhance architecture further. We have worked on various projects of Residential to commercial, sample houses to offices and stall designing etc. We are light on ideology and heavy on creativity and innovation. For us, for any design to succeed, a clearly articulated line of thought should bind it all together with dimensional interpretation that is consistent and careful. By forcing ourselves to think out of the box, we flip ideas and come up with solutions that are surprisingly different. Inventive thinking is our way. We enjoy the flexibility, control and deeper satisfaction that these projects bring. Our motto is to be delivered the final designing product at expected quality standards, within specified time frame and at a budget. We are a designing firm based in Ahmedabad, India. Though we specialize in residential projects, we have also worked on commercial projects, hospitality projects and urban planning. Motion Studio was founded in 2013 and has become of the India leading 3D Walkthrough Company in CGI. The team of creative people and have great experience in all type of 3d rendering projects. 3D Motion one of the affordable 3d architectural rendering services provider for clients worldwide. The company is fully responsible to give you 100% quality work as per your needs. The company offers ultimate 3d walkthrough services and gives ultimate guidance to judge any property. The company provides you the best & complete design solution for industrial plants, chemical plants & manufacturing plants in your desired manner. We provide architecture and interior consultancy. The main focus of our service is time management and quality approach. Our team comprises of architects, interior designers, engineers, consultants and layman. We also deal in custom made product designs which would add value to the interior spaces. 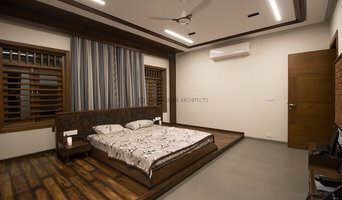 How do I find the best Ahmedabad architect for my home design or renovation project? When building or renovating your home, you don't simply hire an architect or building designer — you build a relationship with them. Be sure you chose a home architect who will be involved in all phases of the design process, from the initial concept to the completed construction. Architecture is an incredibly technical profession and one where getting things wrong can literally put lives at risk, so ensure you hire a professional with a valid license or an architectural firm to maintain high quality and standards. Your next consideration will be architectural style. 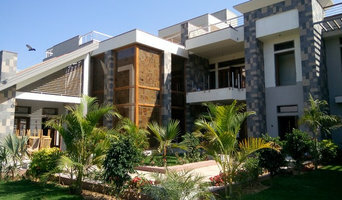 Some residential architects specialise in designing traditional homes or farmhouses, others in designing modern replicas of traditional homes. While a few have a knack for imagining bolder, more futuristic architectural design in Ahmedabad that incorporates the latest technology. How much does hiring an architect in Ahmedabad cost? Home construction and renovation often have a preset budget and hence it is important to understand how much architects charge. While there is no set payment structure, independent architects may charge differently from architectural firms. Architects sometimes choose to calculate their fees on the basis of a per square foot rate. In rare cases, especially with smaller projects, Ahmedabad architects may choose to ask their clients for a fixed fee. Make sure the total figure and payment schedule is agreed as part of your contract, particularly if you are trying to accurately estimate the cost of building a house. 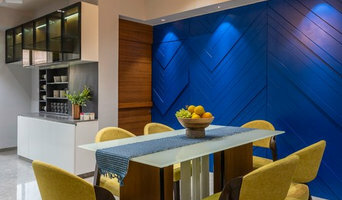 Find a home architect in Ahmedabad on Houzz. 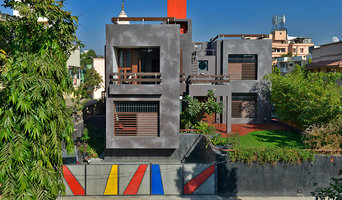 Narrow your search in the Find Pros section of the website to Ahmedabad architects. You may also look through photos projects to find building designers in Ahmedabad who have worked on a project similar to yours.